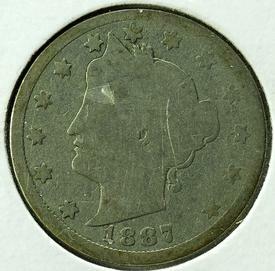 In early 1883, the nickel design was changed to the Liberty Head. 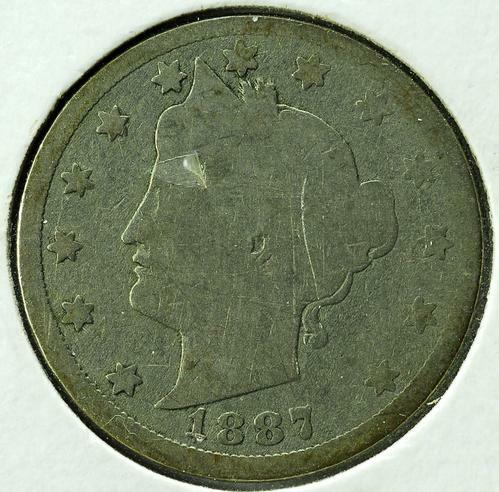 This type first appeared without the word CENTS on the coin, merely a large letter V. Some of these "CENT-less" coins were gold plated and passed for $5. Later in that year the word CENTS was added to discourage the fraudulent practice. 1912 is the only year this nickel was made with a mint mark.